Celebrating 25 Years of the Most Versatile Boat on Water! 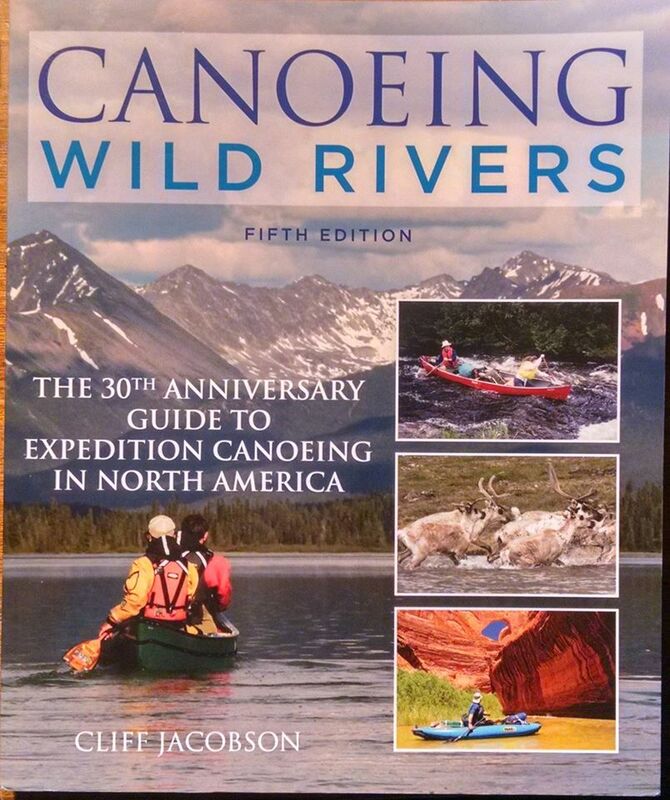 The 30th Anniversary Guide to Expedition Canoeing in North America. Featured on the cover is a great photo of me in a SOAR canoe in front of Stevens Arch on the Escalante River in southern Utah. There are several other great images of SOAR canoes (and me!) on inside pages too. Cliff’s book is available on Amazon and is one of the best books on expedition paddling that I have ever seen. Even a veteran river rat as me is looking forward to reading many of the topics that Cliff writes about. It’s an honor for me and SOAR after 25 years in this great business!! 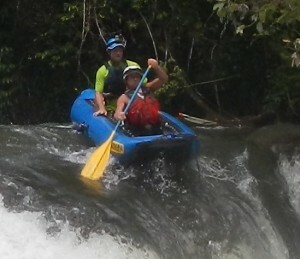 Join us for one of our amazing trips in Colombia, Costa Rica, or Nicaragua!! In 25 years, we have learned a lot from our customers. Thousands of SOAR owners have told us that the SOAR brand of boats inspire them to dream and to connect with what they love: being Somewhere On A River where only A SOAR could get them safely and reliably, all while having fun! SOAR owners are passionate about their boats. They love the ease and versatility: using them as a tender one week, running a multi-day trip the next, shooting rapids, fishing and hunting, and then sailing the next week! We have had many customers tell us that their SOAR is the perfect boat: user-friendly, portable, rugged, reliable, versatile, comfortable, stable and safe. Whether you are a first-time visitor or a frequent guest to our site, enjoy the many photos from SOAR users all over the world. We encourage you to share photos with us and please use our forum to ask questions from us and other SOAR owners. SOAR will take you places! 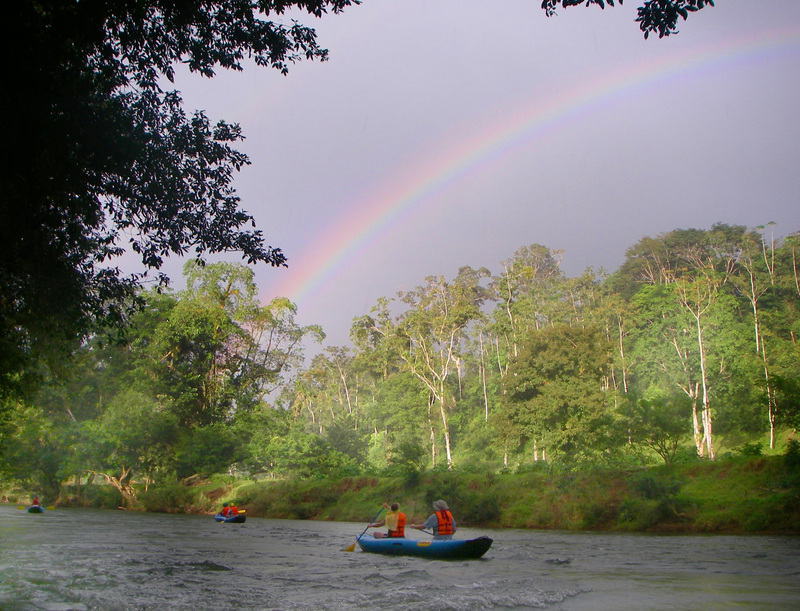 In December, 2013, 7 Gringos (spearheaded by SOAR owner Larry Laba) and 3 Mayans launched their SOARs into the Rio Lacanjá in Chiapas, Mexico. For 7 days and 85 miles, these adventurers traversed North America’s largest rainforest, La Selva Lacandon, ran over 60 travertine waterfalls, machete’d through more than 30 overgrown spots, discovered riverside Mayan ruins, fought disease-bearing mosquitos, biting ants, jungle rot in an inhospitable jungle on a self-supported trip. Read more and see lots of photos in our gallery!